LG just announced that its G5 flagship smartphone will come with "powerful Hi-Fi audio features" developed in collaboration with B&O PLAY - a subsidiary of Bang & Olufsen, the internationally known Danish company famous for its high-quality audiovisual products. For now, LG can't provide too many details on this, but it mentioned that it worked closely with B&O PLAY to ensure that LG G5 owners will enjoy "the best sound experience" on the device. Needless to say, we have to be patient and wait a bit until we'll be able to test the audio quality of the G5, and see if it's indeed as good as promised. While the G5 will be LG's first handset to feature Bang & Olufsen audio enhancements, the Danish company isn't at its first collaboration with a phone maker. Almost 10 years ago, Samsung and Bang & Olufsen released a weird deluxe phone, and, more recently, B&O collaborated with Vertu to deliver improved stereo speakers on the Vertu Signature Touch Android smartphone. Besides enhanced audio capabilities, the LG G5 should offer plenty of high-end features, including a Qualcomm Snapdragon 820 processor, a Quad HD display of around 5.5 inches, and a dual rear camera. To find out more about what's expected from the handset (which will be officially showcased on February 21 at MWC 2016), check out our LG G5 rumor review. P.S. : In case you're wondering, pictured above is a B&O PLAY Bluetooth speaker (which has nothing to do with the LG G5). It'll be nice, if it came equipped with dual front speakers. Like the Boom-sound. All metal or pure stainless steel premium 904 grade. Then people will whine about the extra bezels. Though their quality is nowhere near HTC's. But yeah, Moto's are good enough, good balance between quality and size. You have no idea what you talking about..you just read and view videos and thinks.. I've M8 and Moto X pure, its more enjoying on Moto X they are way louder, also have great quality. I also have Nexus 6p, whose quality don't feels as great as on Moto X pure. You have no idea what you are talking about, concluding that I only read reviews and watched videos, you don't even know what devices I own or tested. I like everything about the G5 but the back of the phone. The back is UGLY if the leaks are true. Don't you think the two toned front makes the phone look like a feature phone? I'm liking the G5. It's likely a headphone enhancement. This'll be good. I think the back is kinda ugly, but a good case will fix that easily. Front is good to me. S7 better have better cam and battery life (substantially better if LG has removable battery) if they want my money from LG. This explains why the first LG G5 teaser has the music box in it!! I am excited about this! B&O are used in luxury cars such as Audi. How many labtop speakers have you heard with good sound? 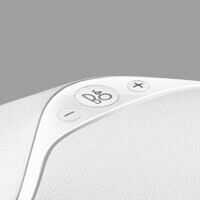 They should let Devialet design the audio part for smartphones, should sound great. They all will. Once Apple starts the trend, unfortunatelly. They do, many of them are using dedicated audio DAC's like samsung using a wolfson.